Tuesday, November 27 from 6 – 8 PM at Manzanita Arts Emporium in Downtown Historic Angels Camp. 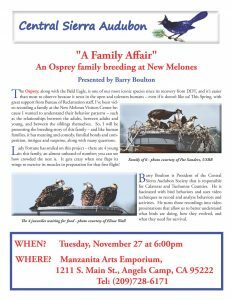 Join Manzanita Writers Press in welcoming Barry Boulton of the Central Sierra Audubon Society in a presentation about the Osprey family at New Melones. 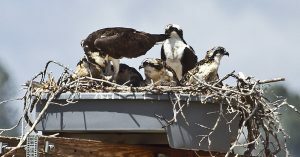 Watch footage of the family and its progress. 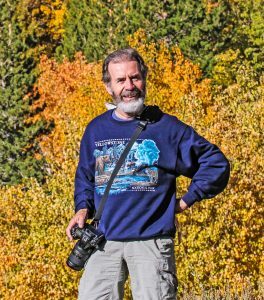 Free program, but space is limited so reserve your seat now, latest by Nov. 25. Light refreshments, a glass of wine, and good company.